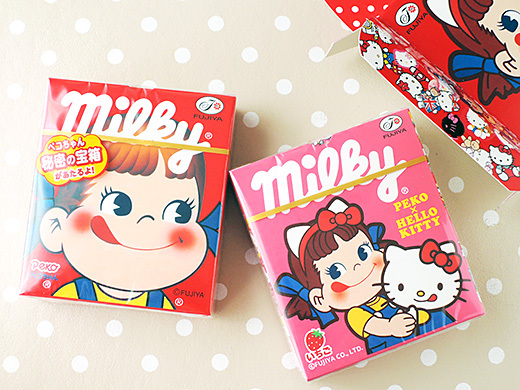 Well-known confectionery Fujiya famous girl character PEKO collaborated with Hello Kitty on the package of condensed milk flavored soft candy named Milky. 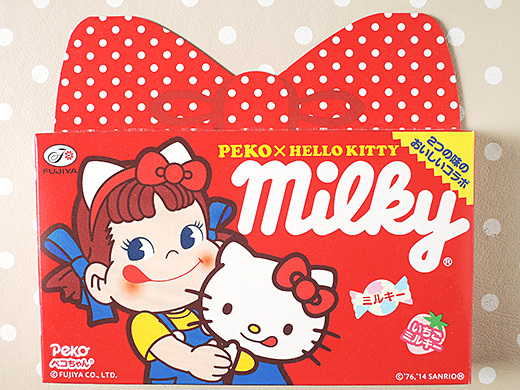 PEKO wears Hello Kitty’s iconic ribbon, and Kitty is having “makeup” PEKO’s little tongue and mouth. 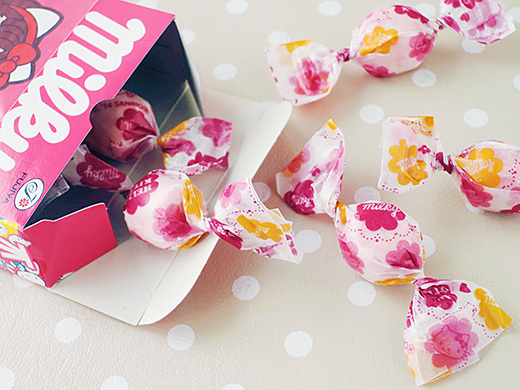 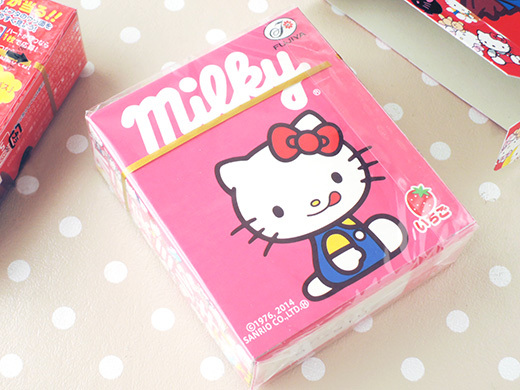 It’s a kind of wierd and surprising that Kitty has human-like mouth, but again, it’s just only a makeup ;) Strawberry Milky, special flavor for this box also has limited wrap design.